John William Waterhouse is another of my most inspirational artists. 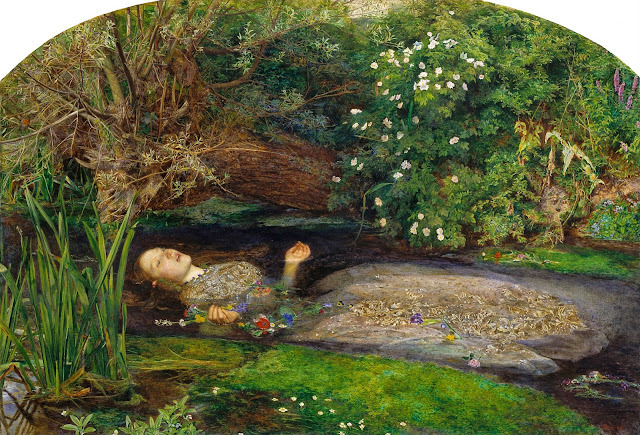 He was known for working in the Pre-Raphaelite style, but having painted several decades after the Pre-Raphalite movement, he earned the title "the modern Pre-Raphaelite." These three works remind me especially of the founder of the Pre-Raphaelite movement's (John Everett Millais) painting style as can be seen in the works I featured on my blog previously, here. 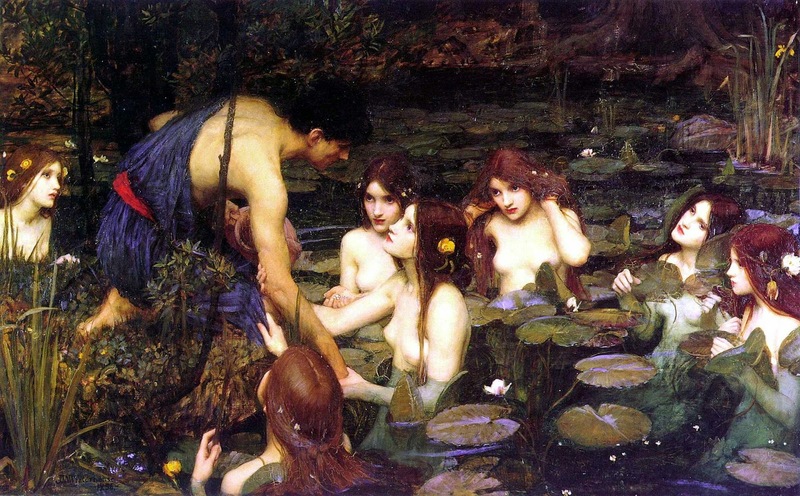 I love the depiction of the Sirens and the vivid color of the water. In all the paintings, the gold accents and golden luminescence stands out creating luscious visual texture. The details captured in the plants of the top and bottom pieces, and the boat in the middle one, are stunning and reminiscent of details in classical tapestries. Not to mention, the small glimpse of the mountain in the distant background of "Ulysses and the Sirens" reminds me of Edgar Payne, another one of my favorite artists. These are only a few of the reasons why I love John William Waterhouse. Next week I will be featuring a contemporary photographer whose works also embody the Pre-Raphaelite style! 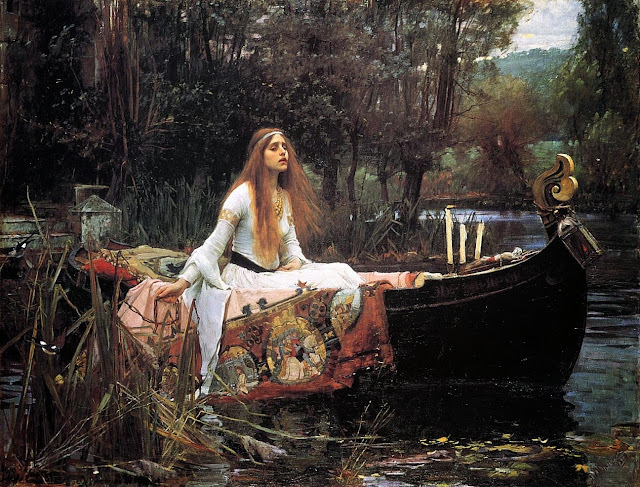 Read more about John William Waterhouse here. 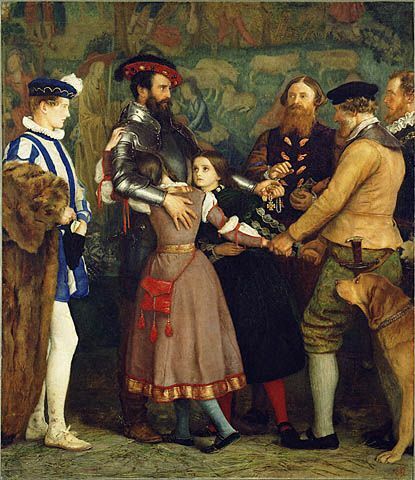 These are some of my very favorite paintings by John Everett Millais. 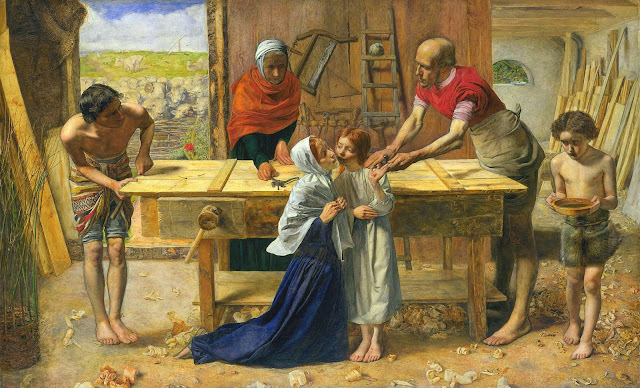 Millais was the founder of the Pre-Raphaelite Brotherhood (one of my favorite art movements), and became it's most iconic painter. The luscious textures and colors, the extravagant detail, and the narrative quality of these paintings is what I find so appealing! 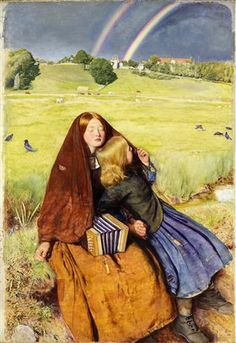 One fun fact I remember from Art History Class is: in the bottom painting, The Blind Girl, Millais used a watercolor like technique with his paint that can be seen on the grass, letting the white of the canvas create the light. If I remember correctly, it was seen as controversial at the time since it gave the painting an unfinished appearance. Read more about John Everett Millais here.